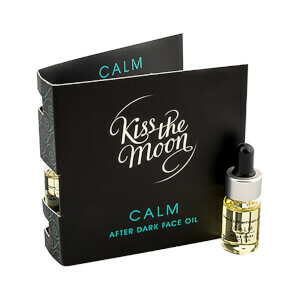 Restore the mind and body with Kiss the Moon Bedtime Bath Salts; a luxurious formula infused with sleep-inducing aromatherapy oils to soak away the day. Harnessing the powers of Magnesium and Dead Sea Salt, the detoxifying bath soak soothes and nourishes skin, whilst White Tea and Coconut Seed Oil provide antioxidant properties to leave the body feeling smooth and hydrated from top to toe. Imparts the brand's 'Glow' blend of Orange, Geranium, Myrrh and Litsea Essential Oils to relax the senses and ease aching muscles. Simply add to your bath tub to help promote a sense of well-being and prepare for an undisturbed night's sleep. Allow 1-2 tablespoons to melt in to your warm bath water. Step in, lie back, close your eyes and relax. Magnesium Sulfate (Epsom Salt), Maris Sal (Dead Sea Salt), Cocos Nucifera (Coconut) Oil, Citrus Aurantium Amara (Orange Tree) Oil, Pelargonium Graveolens (Geranium) Oil, Camellia Oleifera (White Tea) Seed Oil, Commiphora Myrrha (Myrrh) Oil, Litsea Cubeba (Litsea) Fruit Oil, Citral*, Citronellol*, Geraniol*, Limonene*, Linalool*. *Naturally occurring in essential oils.